i-Build.PH Web Solutions and Services, based in Metro Manila, Philippines, provides the following services: web design, web development, web hosting, domain name registration and sign-up, search visibility and online promotion, web marketing and training. Allows multiple e-mail addresses, separated by commas. Yes! You are allowed to and should choose more than one option :) We are a one-stop shop web garage! Let us start on your search visibility now! Enter the website URL you want optimized. 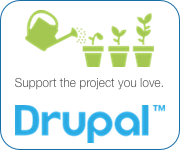 i-Build Philippines believes in the work being done by the Drupal community worldwide, in all aspects! Be a member now and make a difference. Come for the CMS, stay for the community! Payments are accepted in various online and offline modes: Bank deposits, checks, cash, PayPal, money remittances and moneygrams (Western Union, Cebuana Lhuillier, LBC), and among others. View list of Bank Accounts here. Prices are subject to change (with due notice to clients) due to constant FOREX updates. For more information and questions, contact us.